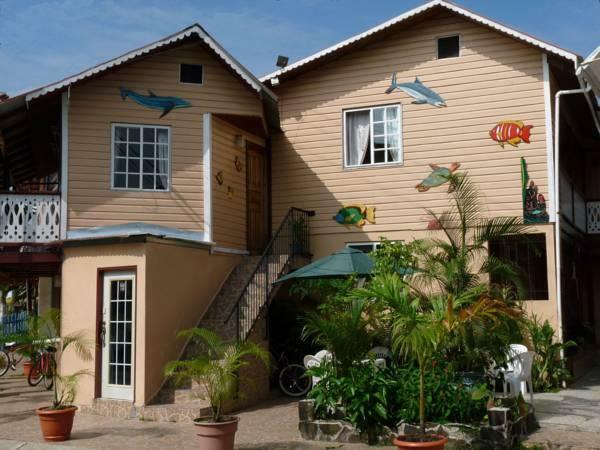 ﻿ Best Price on Hotel Posada Isla Chica in Bocas del Toro + Reviews! Hotel Posada Isla Chica is located in Bocas del Toro, right across the waterfront and just a 15 minutes’ walk from Bocas del Toro Airport. The property offers free Wi-Fi connection throughout. All the rooms are air conditioned, have a ceiling fan and a seating area. They also feature a working desk, cable TV and free toiletries. The private bathroom has a shower. Guests of Hotel Posada Isla Chica can find food options within 110 metres from the property. The hostel also offers terraces, gardens and bicycle rentals. Guests can exchange their currencies on-site as well. Caranero Beach is 2 minutes’ away by boat and Bocas del Toro Central Park is located 150 metres from the property. Please note that the 50% of total amount of the reservation must be paid in advance. Once a booking has been made, Hotel Posada Isla Chica will contact the guest directly to arrange payment by bank transfer. It was just ok. Initially we booked for 2 nights, but eventually moved to another hotel after one night. The room is huge, girls at reception and the hotel's owner are very nice people, the hotel is cozy and constanty cleaned, kitchen is open till late, it's possible to ask for laundry (5$). But we had a very noisy a/c and no hot water to take shower. So...we just moved to another place that didn't have these problems abd cost us the same. The hotel Posada Isla Chica can fit your request, if you arrive with a big company or family - rooms are big enough for 4 people. Excellent choice for a stay in Bocas on the main Isla Colon - spacious room suite, clean space and friendly vibe from the people that run the place. Location is also very good on the 1st road near many restaurants, water taxi, etc. Can walk there from the airport as well.